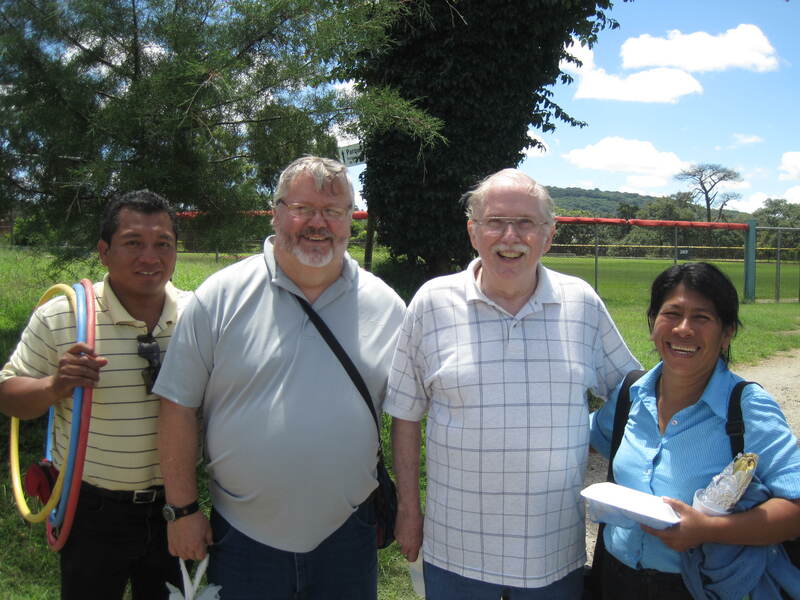 From June 13-23, 2014, eight delegates from Faith Lutheran/Journey in Faith in North Dakota visited their sister community in Tierra Nueva I. Delegates reflected on their visit and chose words that best captured how they felt during the delegation experience. This trip has impacted my life in so many ways. I have yet to find the right words to describe how… I was blessed with an entire new family over 2,000 miles away that will forever be my family. I was blessed with unforgettable memories like being able to attempt conversations with my new friends and not using a translator or by playing games and dancing together. This trip has also motivated me a lot to do great things in the world. We heard stories from people…such tragic things happened, but these ladies were so grateful for life… It shows me that even if I have had difficult times in my life I can still do great things for this world even if I still feel pain… When I get home I will begin the next process and share my story with everyone possible. I will also do mission work in the States and make the world better one step at a time. Because that’s what I’ve always wanted to do but this trip proved that that’s who I am and that’s what I need to do with the rest of my life. The beginning of this trip was extremely relieving. All of my fears that I had before I arrived had vanished. After spending many days with the delegates and members of TN1, I felt as if we were one. I didn’t know that coming to Guatemala would be as blessing as I found it to be. I gained a new family and I couldn’t be happier. Now that it has come to the end of our trip I’m conflicted. I’m very sad to leave my new relationships but very happy that I know I have something to come back to. I love the friendships that I have made and I plan on keeping them forever. I feel very motivated to go back home and share with my loved ones the love I have learned from my new family here. 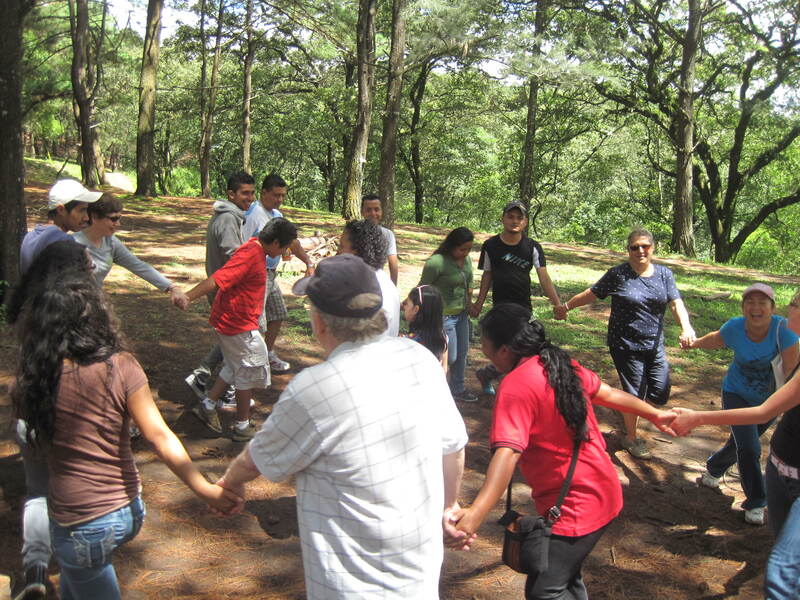 Refreshed – When I go to Guatemala, I feel refreshed. It feels like home. I am so welcomed and greeted with genuine hospitality and warmth. I learn that I am capable of welcoming and greeting with genuine hospitality too; however, I find it sometimes easy to not follow through. It is good for me to reconnect with TN1 so that I am reminded of just how I am to treat my fellow humans. I also learn to reevaluate my priorities. I gain insight on discerning what I need and what I want. Overwhelmed – This trip I was overwhelmed with acceptance. The first thing my host family said to me was congratulating me on my marriage. They said that I looked happier than on previous trips to Guatemala. I was given an embroidered pillow case that said ‘amor eterna’. The relationship with various members of the community seemed to go deeper this time. Engaged – I fully engaged in the activities allowing myself to be vulnerable to the experience. I allowed myself to feel the emotions that were provoked by the stories that were presented. The history of TN1 and how people needed a place to go after the earthquake of 1976. The peaceful protest by dedicated people to block the mining project that threatens their water supply. Visiting and hearing the history of UMPIVM and the great resource/service it provides. Seeing and staying at Ruth & Niomi’s Cooperative and hearing the history and how it continues serving women and their children. Touring the workshop and eating lunch at Chonita’s Beadwork Creations cooperative and hearing about the history and numerous women involved today. I actively participated in activities and conversations. I danced, cooked, listened and stated my thoughts at meetings, visited homes of people I knew and those I had yet to meet, shared in meals, and developed a close relationship with my host family and others from TN1. Inspired – I learned of numerous people experiencing hardships and obstacles and how they have turned their situations into something positive for others. Enlightened – I came to the realization that I am capable of doing more with my time, energy and resources. I, too, can lead an effort that can benefit many and possibly grow it into something beyond my abilities. I have felt so blessed and loved since I have been here. Everyone has been so caring… I got a backrub a couple of times, I had my feet rubbed once and just gestures of kindness. Even though I couldn’t communicate very well, I knew they loved me. I was amazed by the beauty of the country and seeing how hard the people work…they are such strong people in their working life and in their faith. It was very impressive attending the Corpus Christi event. So many people! Overflowing – with information, also with the courage and faith of a people that have been oppressed. Renewed – The people of TN1 give me new hope and help me to strengthen my faith. Awestruck – I stood on holy ground as I felt the embraces of our sisters and brothers of TN1 at the airport in Guatemala. It had been a long and wearying day of travel. Smiles, warm abrazos, and the joyful and welcoming spirit of those who came late that night to greet us, set the stage for our 10-day journey together. As our time together unfolded, my use of the word “awestruck” was part of my daily language as their genuine sense of hospitality and faith, unshattered by years of violence, remained steadfast and true to the Gospel model Jesus proclaimed. Humbled – It is difficult for North American/US culturally engrained persons to suspend the idea that our nation is “Number One” in order to fully enter a culture deemed by the wealthy to be powerless… I was called repeatedly to let go of my own cultural norms to receive the gifts of the materially poor in order to find the gifts of the spiritually rich. I often felt humbled and tearful as my family members in TN1 strengthened me with their basic dependence on God’s Spirit of Life to sustain and encourage them in their daily lives. They reminded me to give thanks constantly for all good, and lean heavily on God’s guidance in all things; and then to seek ways to serve others with joy. 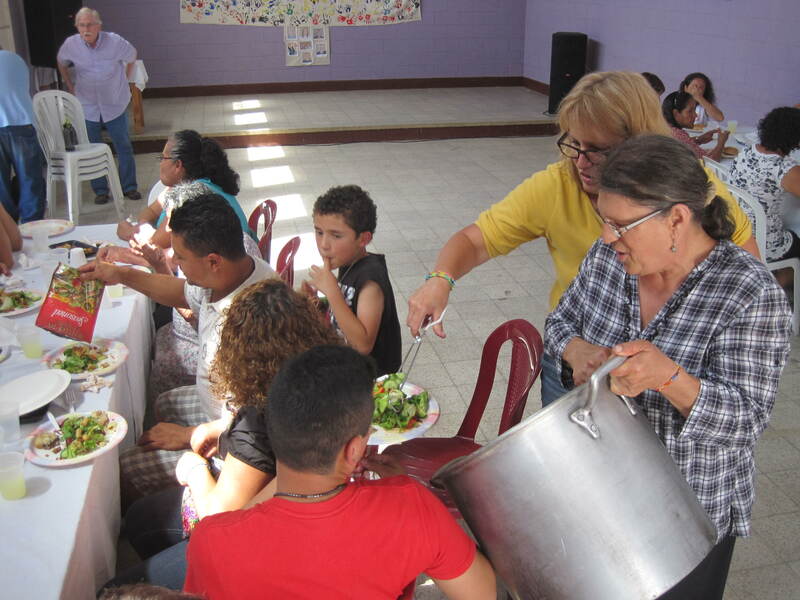 Fed – Meals were offered around tables with fullness and grace. But even greater was the spiritual food shared among us. Far-reaching will be the sustenance for living my days in the manner in which my sisters and brothers offered their very lives. 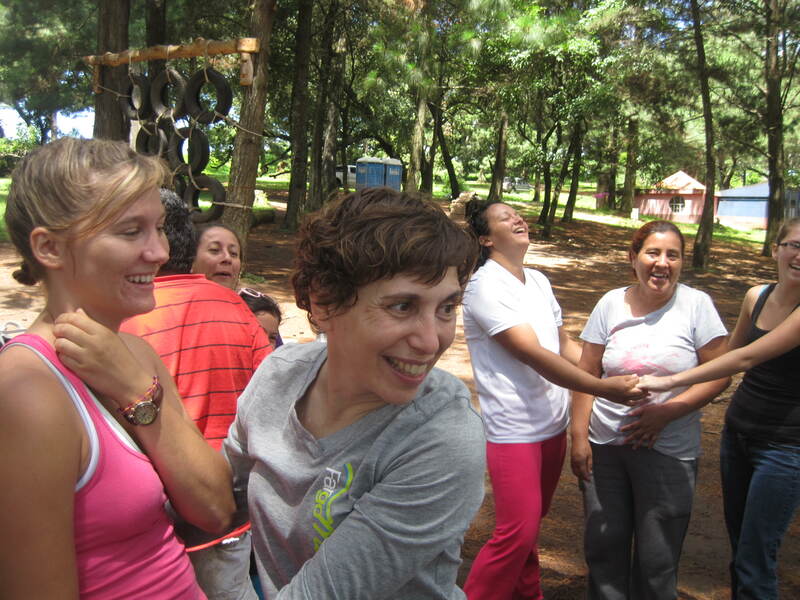 I arrived in Guatemala a bit underfed spiritually, longing for clarity and direction in my life. This prepared room in my heart and soul to receive the solid food of faith from my sisters and brothers and traveling companions. All this together uplifted me and I returned home with new eyes to see and experience in clearer ways my own culture and values. I continue to pray that the needs around me do not become invisible. Sharing the eucharist with my family at Iglesia San Marco Evangelista fed my soul with the true Bread of Life, helping me see beyond my own shortcomings to the fulness of God’s grace, and strengthened my desire to live fully with Christ at the center of my being. In my eating both physical and spiritual food, together with the Body of Christ, I echo the words of the Psalmist: “Taste and see that the Lord is Good!” Psalm 34:8. In the beginning, I wasn’t sure what I got myself into. I was traveling with people I barely knew to a different country. But I met some amazing people that I will never forget… Going to Guatemala impacted my life in many ways and I can’t wait to return. Even though our time was lmited I left with a second home. It only took me those few days to realize how incredible Guatemala really is. ¡Hasta luego! This entry was posted in Delegations, General, Guatemala, North to South and tagged delegate reflections, delegations, Faith Lutheran, north to south, tierra nueva i, vicki. Bookmark the permalink.